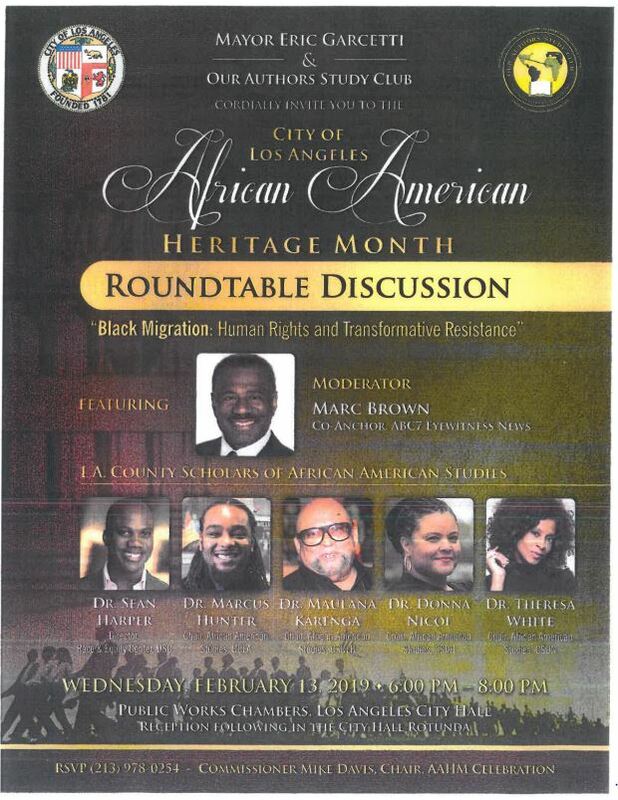 The Roundtable Discussion on Black Migration: Human Rights and Transformative Resistance will feature Moderator Marc Brown, Dr. Sean Harper, Dr. Marcus Hunter, Dr. Maulana Karenga, Dr. Donna Nicoi, Dr. Theresa White in the City Hall Public Works Chamber. Reception following in the City Hall Rotunda. RSVP: 213-978-0254.